I have been very lucky in my life to have traveled to some pretty amazing places. 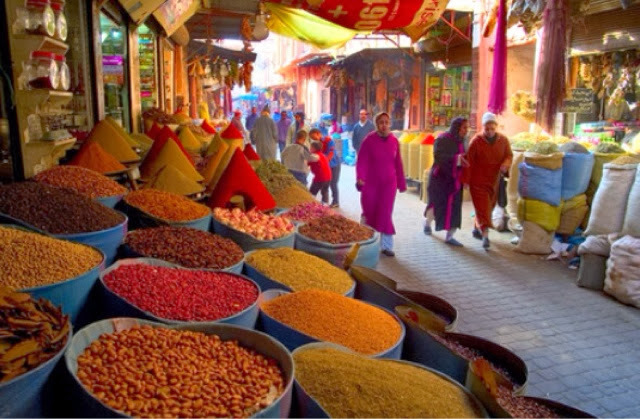 But one place I really am desperate to visit is Morroco. I am in love with the hand made, intricate decor and fabrics that you can find from a local market or souk. Combining rich vibrant colours with natural fabrics and metals, I have decided that I would like to take this theme/inspiration into the living room of our new apartment. Visit my Polyvore Board to see a list of retailers featured. Cushions: Starting with the cushions. 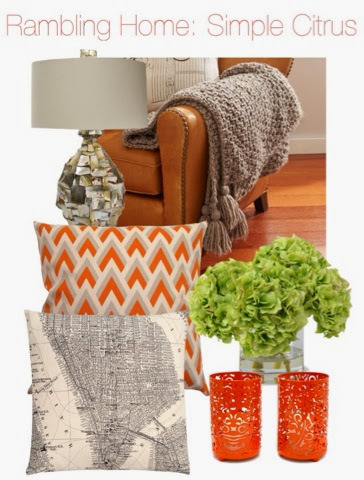 I love this bright orange and beige zigzag print, combined with this amazing map print pillow from H&M home. Both are simple, yet statement, cushions but when paired together I feel like they work really well. Candle Holders: Next up are these beautiful orange candle holders. I love to have candles in my home all year round. Not only do they smell amazing, but they create a beautiful ambiance. Flowers: Usually, I will always opt for fresh flowers in my home. However, constantly buying fresh hydrangeas can be costly and I have a wedding and more travel adventures to save for ;) You can buy really impressive fake flower arrangements for a little cost. Blankets: For me comfort is everything in my home. Like the candles, I love to have soft throws and blankets on my sofas for those days when all you want is your favourite movie and pajamas. Lamps: This Mosaic lamp is simple and a statement in itself. A classic example of less is more. And so, in the same way that travel broadens our minds, I will be broadening my blog to incorporate two of my loves travel and my home. I love collecting trinkets and souvenirs as I go. Taking a piece of my adventures back home with me. Which is why this new section of the blog will be called, Rambling Home.